The Sussex Inlet sixty-second annual Family Fishing Carnival is a fishing competition in which all the family can participate, with over AUD25,000 in valuable prizes including cash to be won. 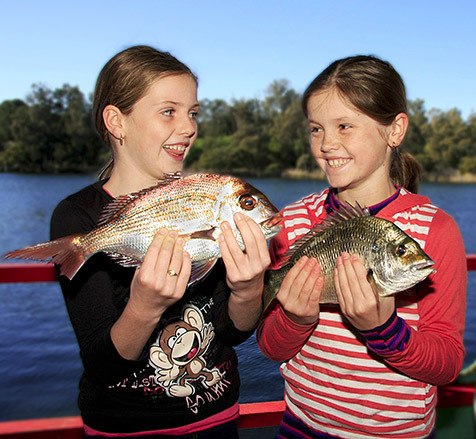 The emphasis is on children enjoying the joys of fishing in a family atmosphere. This year the carnival runs from Friday, July 7 2017 until Wednesday, July 12 2017. Weigh in closes at 4pm each day. Thursday, July 13 2017 is Presentation Night. Competitors can fish from the river bank, a boat, inside the basin or out in the ocean or off the rocks. This event is the longest running event of its type in Australia. A presentation night is held on the Thursday night after the competition finishes on Wednesday. The Carnival is sponsored by local businesses of Sussex Inlet, The Shoalhaven City Council Tourism Board, Sussex Inlet RSL Club, Sussex Tackle Shop and Toy Box, Sussex House Caravan Park and Holiday Cottages and Sussex Inlet Mechanical Service.